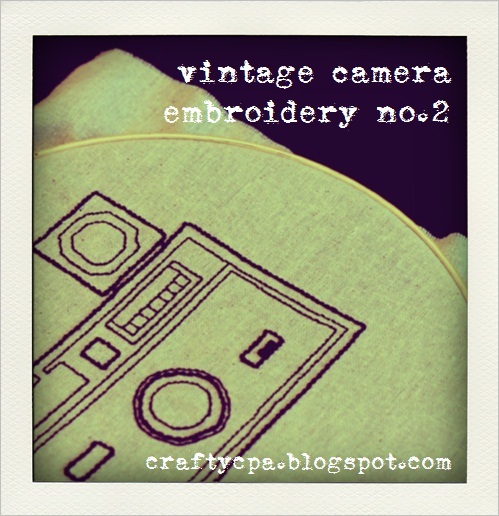 This week I finished the second vintage camera embroidery in a planned series of three. See number one here. 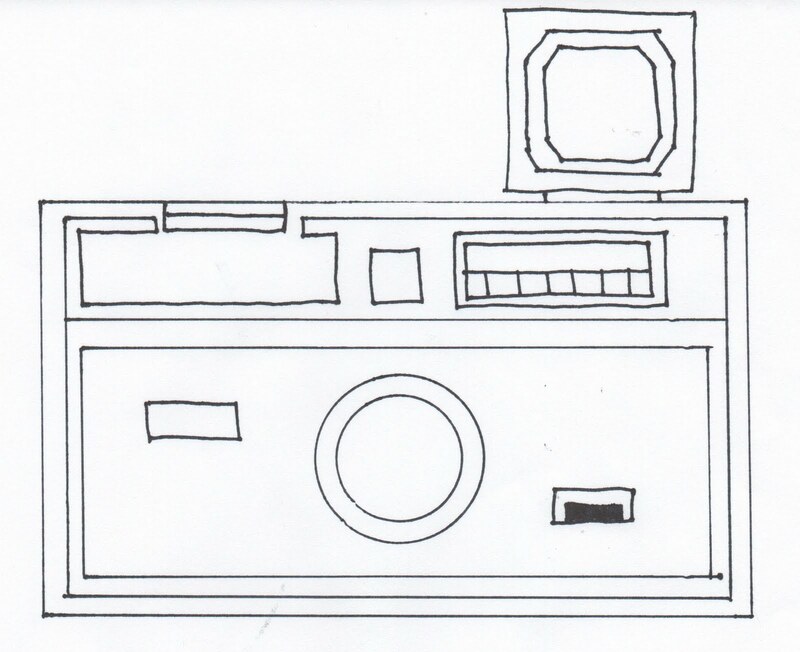 To make, trace the image below onto fabric with a water soluble marker using a lightbox or sunny window. I choose a natural looking nubby muslin for my fabric. Stitch the design with black embroidery thread using a backstitch. 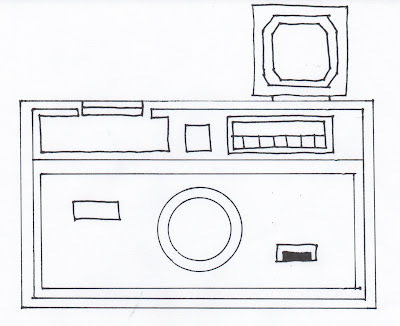 ﻿I alternated thicker lines using six threads and thinner lines with two threads to provide some contrast. That is so awesome. I am so impressed! Ah! I loved number one last week and love number too also! Wish I had the patience for hand embroidery! Would love for you to share at my link party! Darnit, now I'm going to have to learn to do embroidery again! I can remember doing it as a kid so it shouldn't be too hard to pick it up again...right? Anyhoo...these designs are so cool and retro that I WILL be putting them up in my house for sure! Can't wait to check out more of what you've done! Super cute! Bet there are a lot of photographers who'd love to have this! I love this! My daughter LOVES photography. I must do something like this for her. Thanks! I love this! I am a new follower from Wandering Wednesday! Hope you can visit back. Oh seriously, you are just too talented! So cute! This is so great! Would love for you to link to my delightfully inspiring Thursday Party. Occasionally I use Amazon affiliate links to link to items I personally own and use in projects. Links to the crafty cpa projects are always appreciated and encouraged. Please link back to the original post on this site. All images and content copyright © 2009-2013 the crafty cpa.